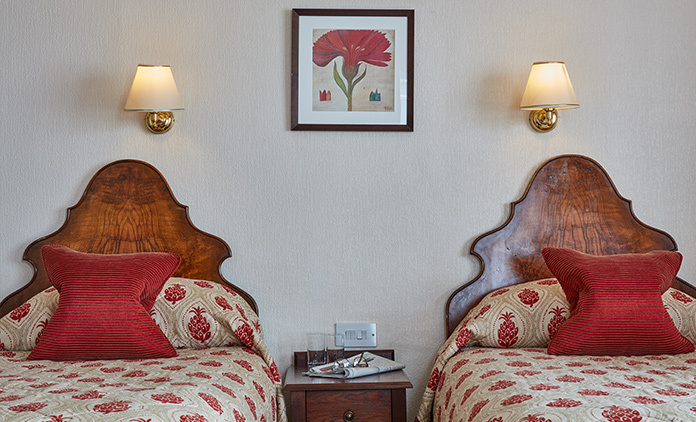 Our individually furnished bedrooms at the Royal York & Faulkner Hotel, have been designed with you in mind. 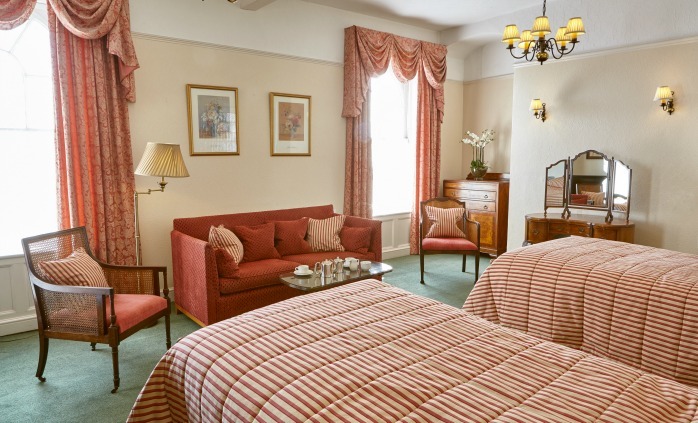 Whether you’re looking to stay in a more traditionally styled room that reflects the grandeur of our Regency building, or a more modern setting, our rooms cater for all tastes. 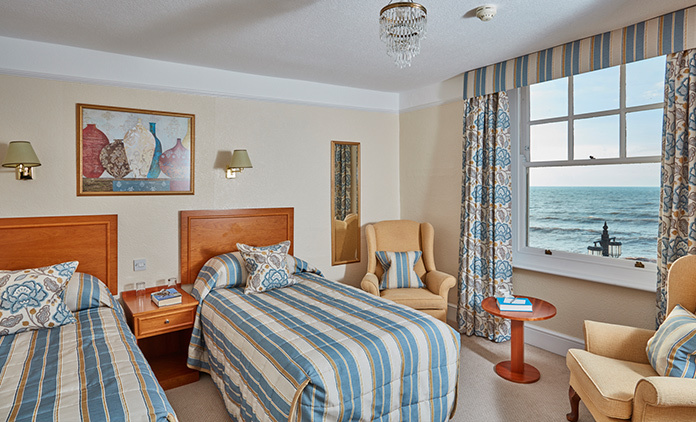 Many of our comfortable, well-appointed guest bedrooms boast sea views, with our highly popular deluxe rooms offering magnificent balcony views of the Esplanade and Lyme Bay. 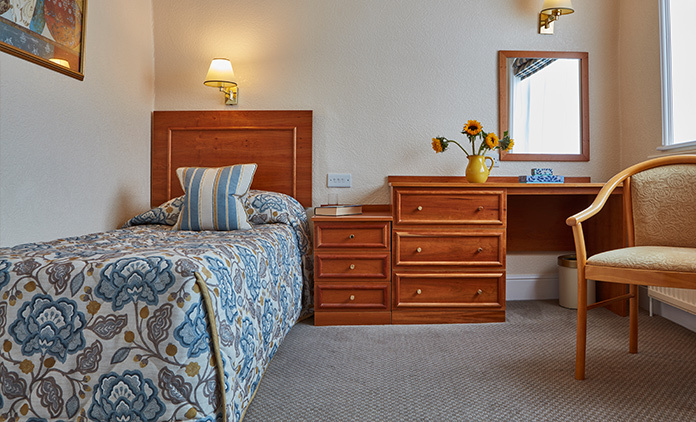 Our guest bedrooms feature the essential amenities, including en-suite bathroom or shower, central or convection heating, flat screen TV, radio, telephone, hairdryer, free Wi-Fi and tea and coffee-making facilities. 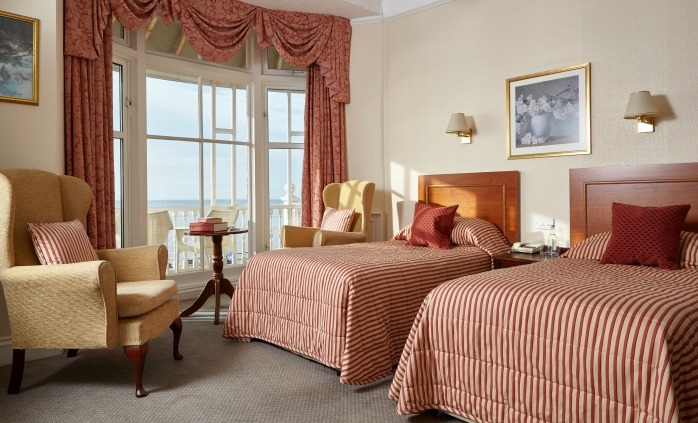 Looking to surprise somebody or treat yourself? 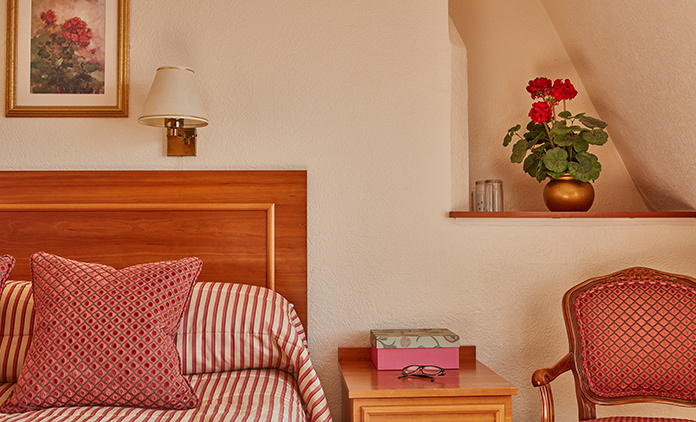 Let us know in advance and we will provide fresh flowers, chocolates, fruit and wine ready for your arrival. 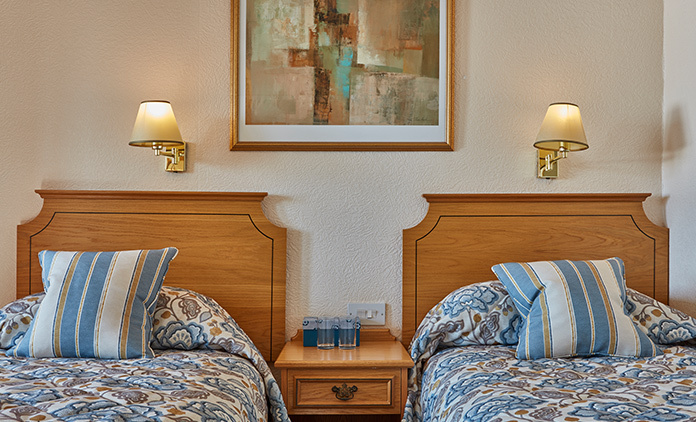 We welcome guests with walking difficulties, however, some of our rooms, given their proximity and level access to the lift, are more suitable than others. 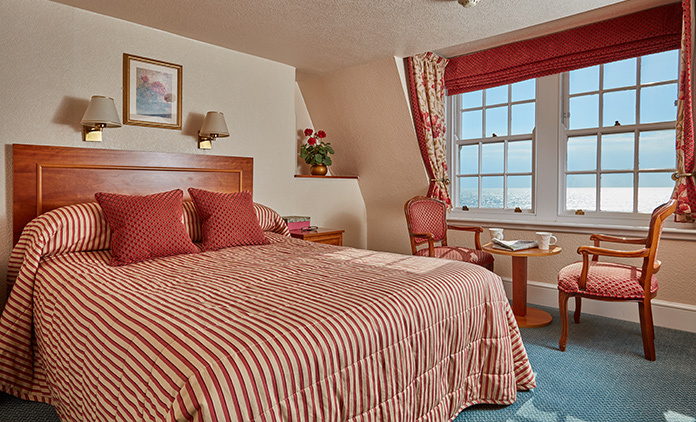 Contact us on FREEPHONE 0800 220714 to talk through your requirements. 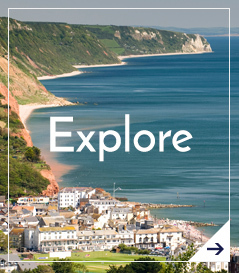 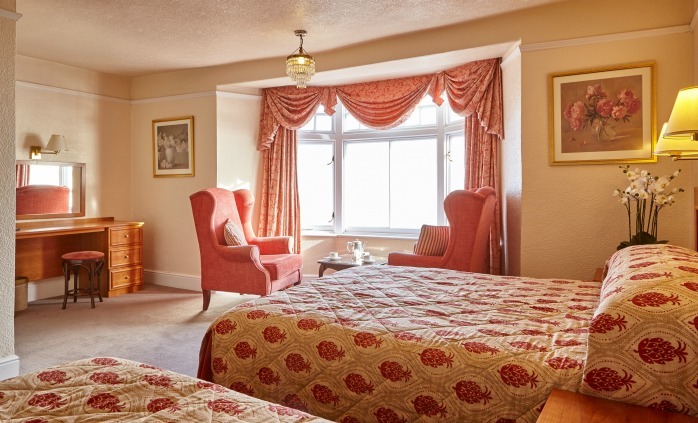 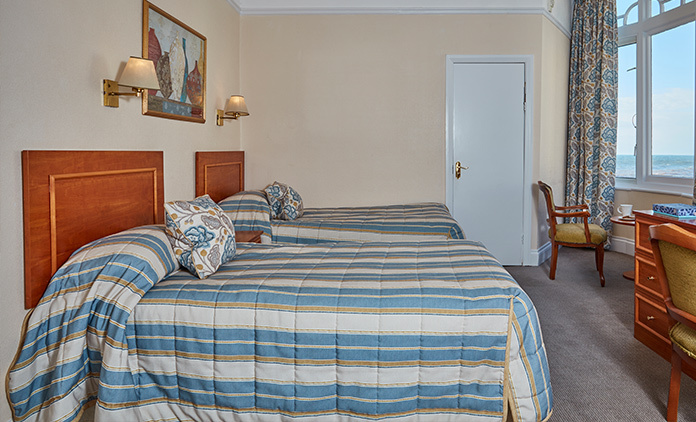 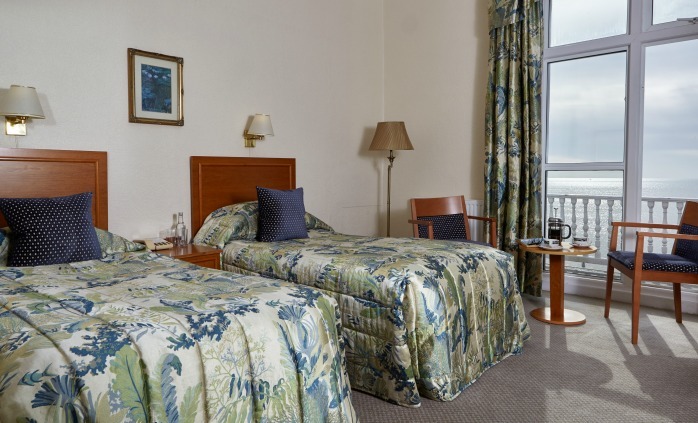 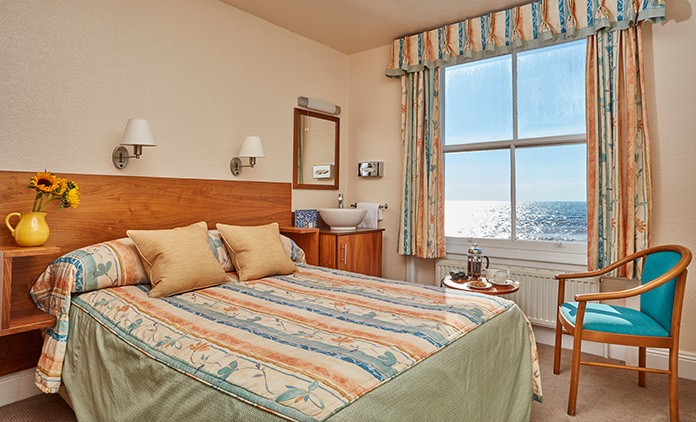 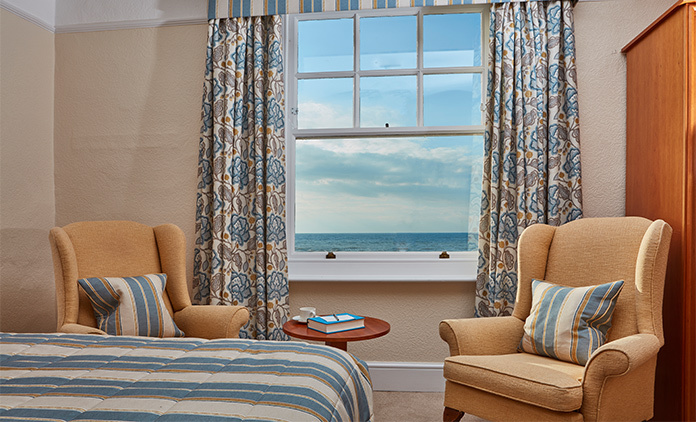 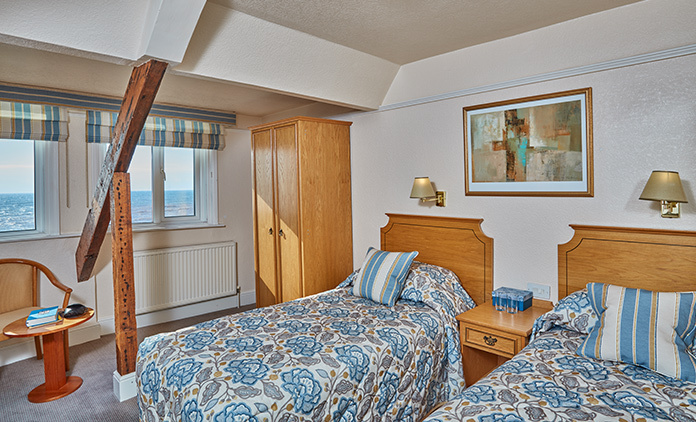 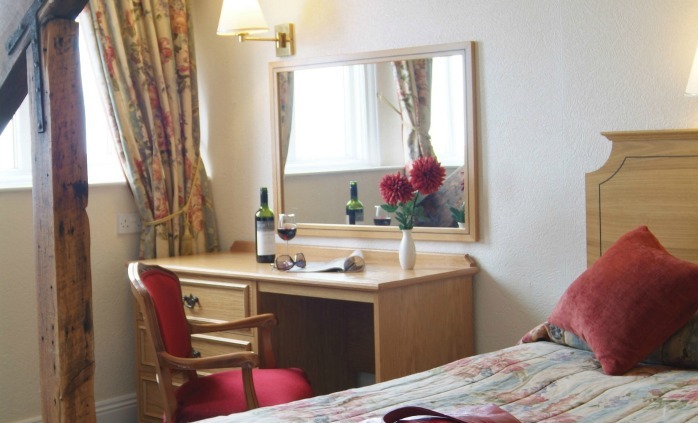 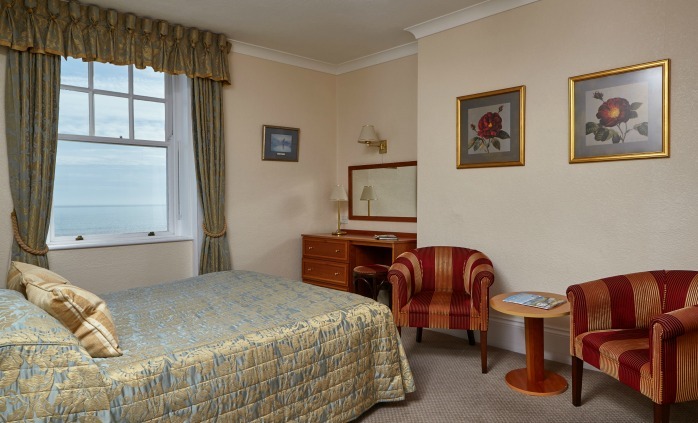 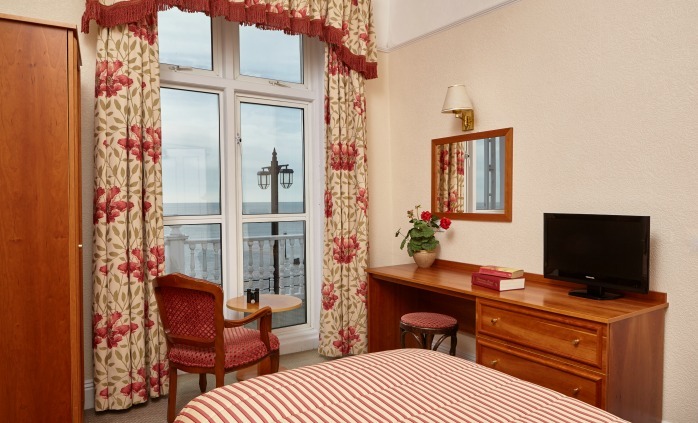 Our generously sized deluxe rooms take in the views of the sea, Esplanade and Lyme Bay. 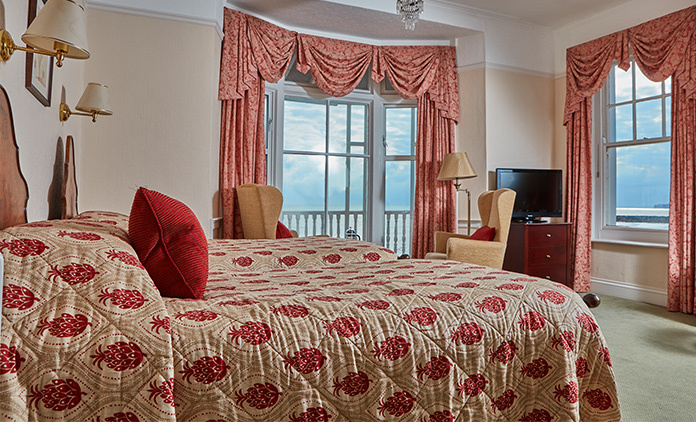 The majority of our deluxe rooms lead out to the balcony where you can relax and enjoy the views. 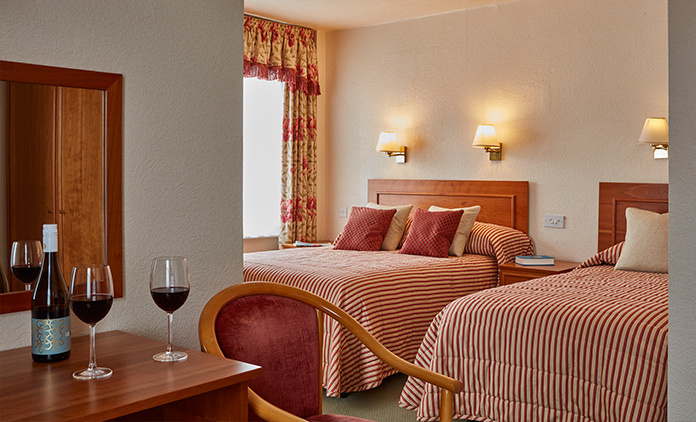 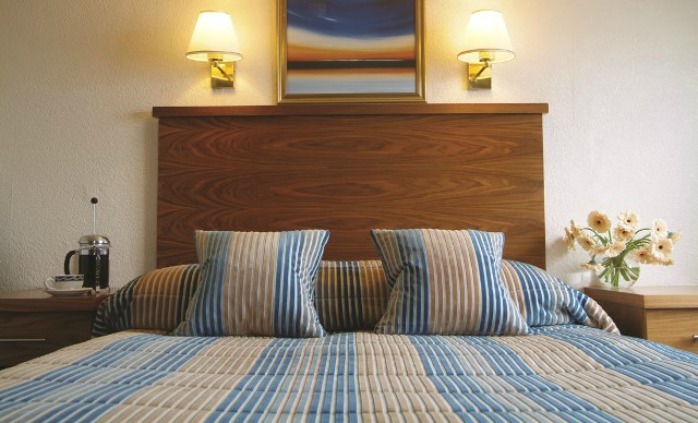 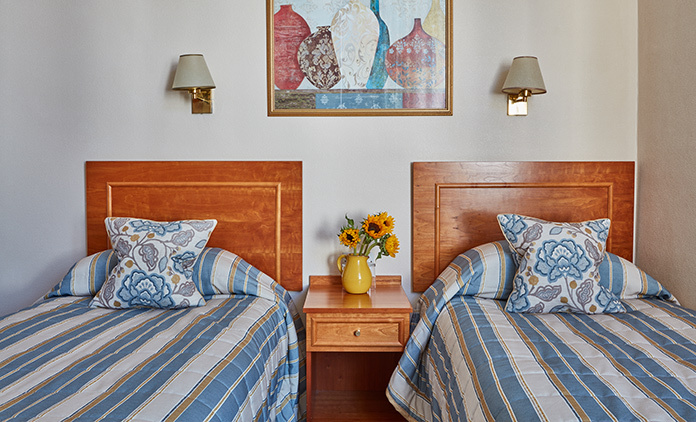 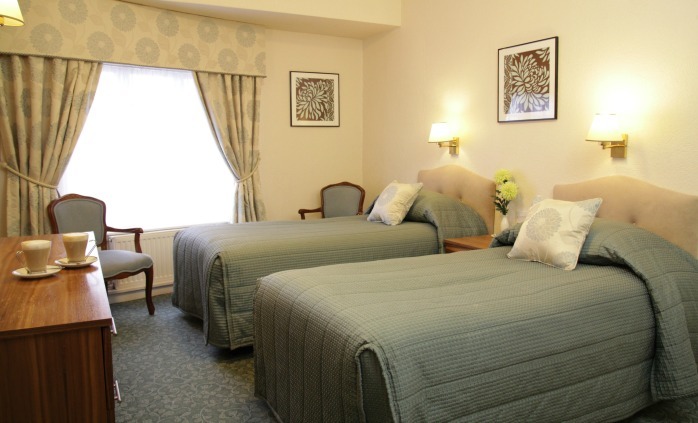 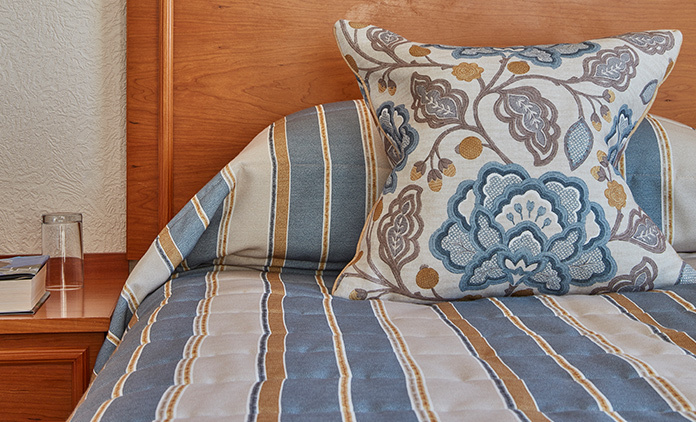 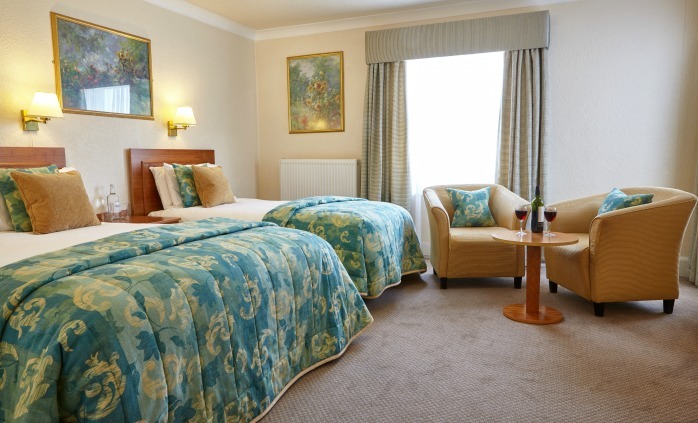 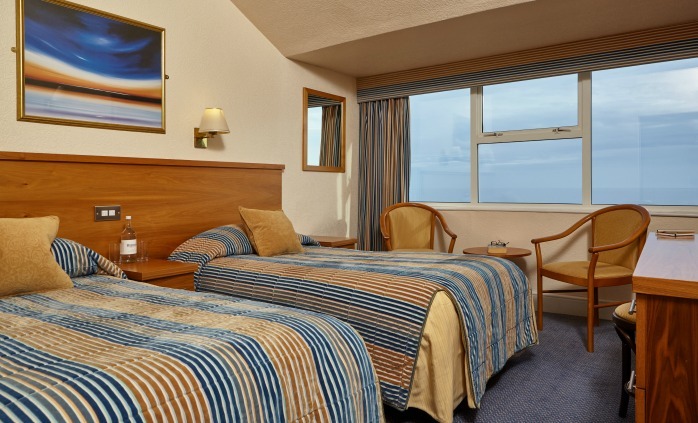 Our comfortable and spacious superior rooms provide plenty of space to relax in. 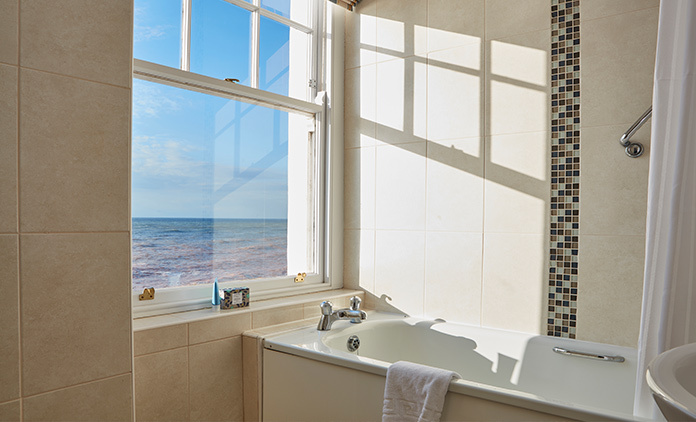 They all overlook the sea and feature either an en-suite bath or shower room. 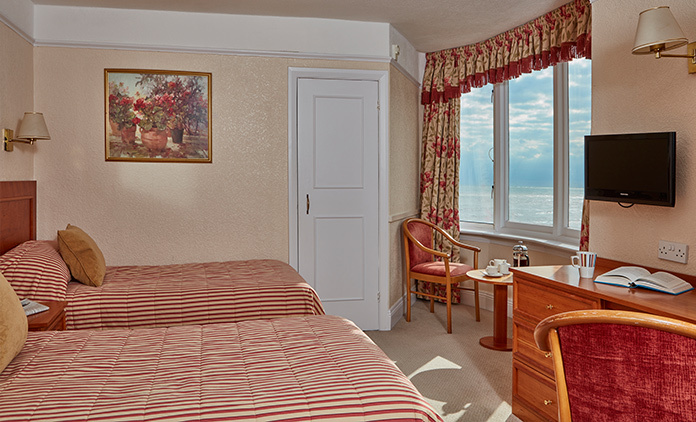 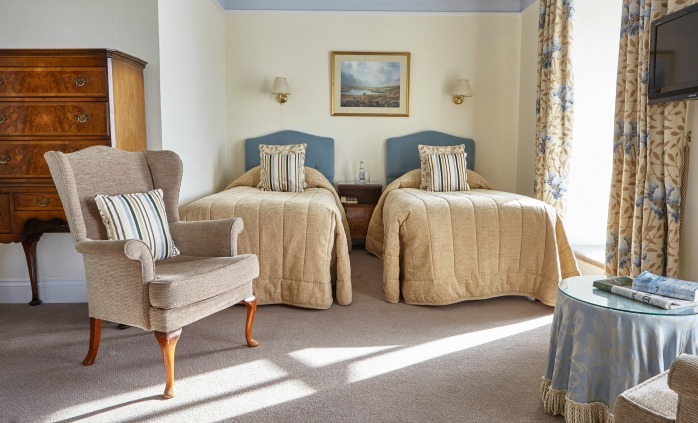 With stunning views of the sea, Esplanade and Lyme Bay, our sea view rooms feature all the essential facilities, including a bath or shower room en-suite. 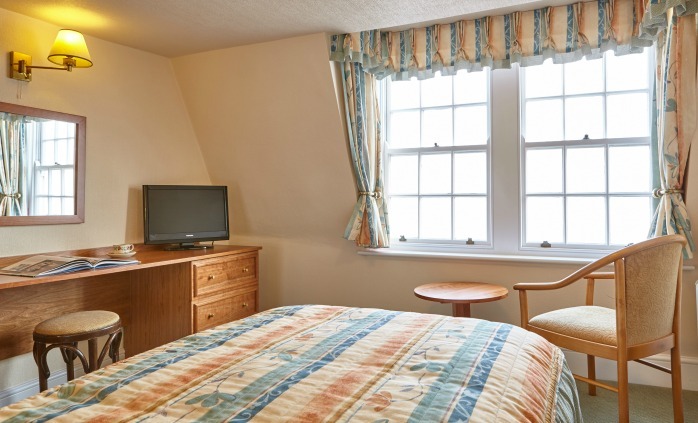 Our standard rooms offer views to the side and rear of the hotel, plus the amenities you need to make your stay with us as comfortable as possible, including an en-suite bath or shower room.